At Camphill Milton Keynes Communities we want to consult, involve and inform all of our Residents, Families & Friends, Staff and Partners. Our dedicated Parents and Families area shares information and resources for our residents families and staff. A lot of fun in the sun was had by our community this Easter Bank Holiday weekend. Not only did we enjoy the most glorious weather, we also painted eggs, cooked lots of delicious meals in our houses, had an chocolate egg hunt and had a few days to unwind and catch up with each other in the gardens. We provide community and supported living for adults with a range of learning abilities and disabilities. Here at Camphill Milton Keynes Communities we have houses at our Willen and Pennyland sites but we also work with people who live outside of our community. We can help with managing medications, practical support in the home as well as neighbour issues, finances, health and anything else that individuals and families may need support with. Referrals can come from anywhere but most often will come from a social worker or similar. Please contact us if you would like to know more. 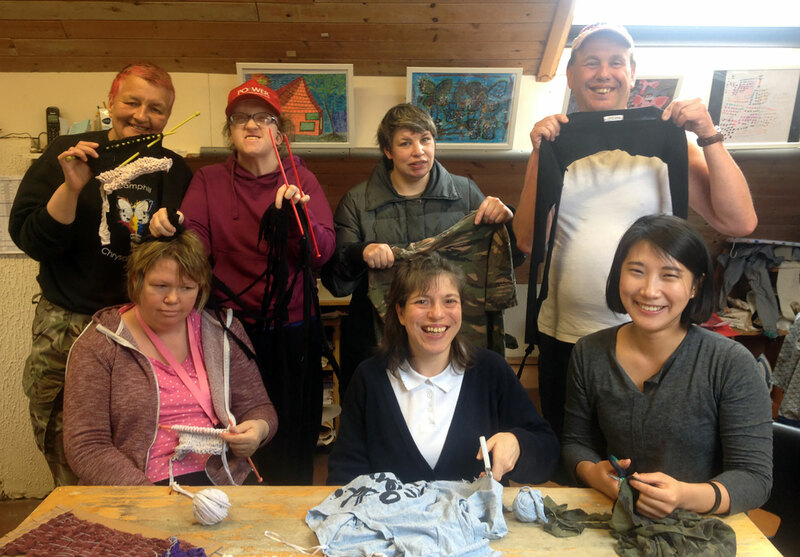 Here at Camphill Milton Keynes Communities, we run a varied program of workshops designed to teach new skills and provide valuable work and life experiences all in a fully supported environment. We run Land Craft, Gardens, Bakery, Café, Shop, Theatre, Art & Craft, Tech Lab and Newsletter workshops. They are not only creative but are specifically designed to provide meaningful and rewarding experiences. The workshops run throughout the year and service users can opt in or out according to their interests and goals. Community is a key part to life here at Camphill Milton Keynes. As well as our workshops we also have regular events and activities open to everyone. One of the rather unique things about us is that we work hard to ‘build community’ by getting people involved in projects that are not much to do with their work but create social and cultural activity where we all have a part to play. We host regular events that are for our community but also for the public. We host performances in our theatre, our café and are open daily, and we also host craft fairs that not only showcase our own skills but also the wider community’s.